Thank you http://bigtimemoscow.com for the article! We would like to say thank you to our friends http://bigtimemoscow.com for the article! Watching caged animals from a distance is not very exciting for kids raised with gadgets and interactive activities. 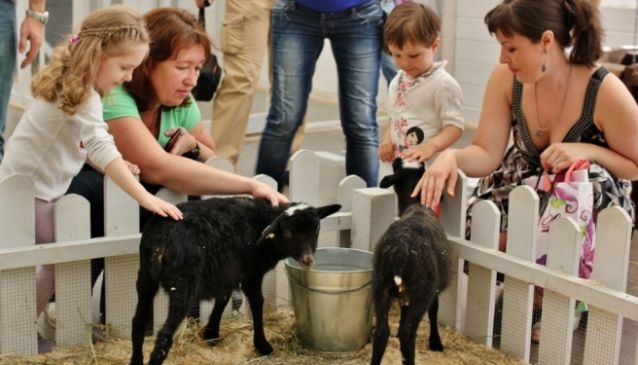 In harmony with this, Moscow zoo representatives are making efforts to be on the same page as their younger visitors by widening the list of attractions. 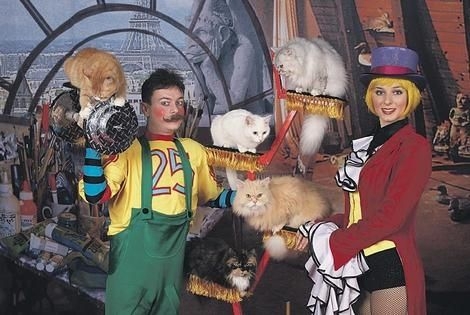 The Cat Theatre of Kuklachev troupe, which is well received all over the world, is deeply involved in the world of cats, and has a cat corner, games and of course the main attraction – the show! Though using animals onstage raises ethical questions, the shows are well directed with highly professional smiling clowns and artists. It is not an amateur show, but always combines artistic storytelling with different characters. On their official webpage http://www.kuklachev.ru/eng/ you can preorder tickets and the operator will call you back to make a reservation. It is strongly advised that you not try to pay via the internet page; it is best to pay cash right in the theatre. They also offer lots of different merchandise, even from the stage, and the cafe is cheap with basic drinks and cakes (unfortunately kids’ cuisine is not provided). In so-called ‘contact zoos’ parents are happy to pay for their children to have the special experience of cuddling up with, feeding and petting all kinds of cute little animals. This kind of zoo is often really small and viewing the animals can take as little as 20 minutes. However, the main objective is to communicate with each of its citizens, all of whom have their own names, habits and food preferences. They are also given fair breaks in a separate area when they are getting too much attention or food. The entrance costs not more than 300 rubles, and small meals are available for 50 rubles. The staff here teach kids how to interact with and feed the animals. There are no bad smells; cages are clean, and animals are well cared for. The center also presents craft, painting and handicraft classes. On weekends it gets extremely crowded, so it is preferable to visit during the week. Children and their parents are also invited to become custodians of some of the animals (an official agreement is provided). In terms of this agreement you can visit your animal home corner for free, and in exchange you pay for the animal’s food and cleaning. 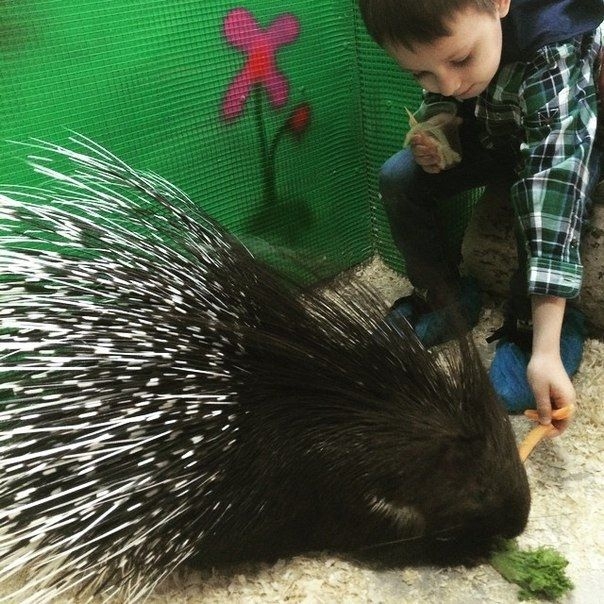 This is a great way for an animal loving kid to have a come-and-go pet. For your birthday party you can invite… the whole zoo! Half an hour amongst the animals will cost 9000 rubles, and an advanced reservation of no less than seven days is required. Operating hours: Mon 12.00 a.m- 9p.m. Tue-Sun 10a.m.- 9 p.m. These animals are real superstars! They are so experienced in dealing with people that they feel comfortable in front of the camera and in the public eye. The space is well organized for both kids and adults, allowing parents to enjoy some leisure time too. 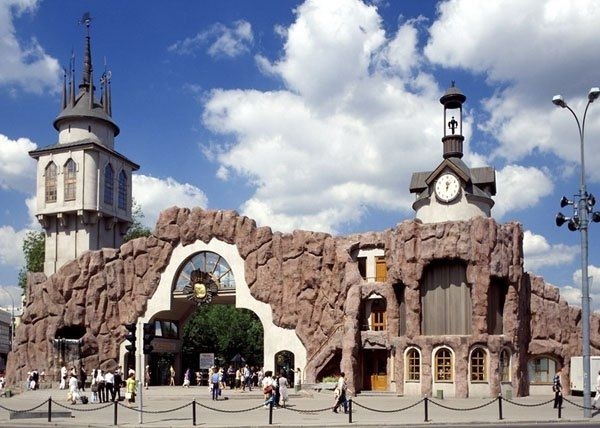 Operating hours: 10 a.m.-9 p.m.
“Forest Embassy” (“Lesnoye Posolstvo”) Bibirevo subway station the “Markos Mall”; Andropov Avenue 8This zoo’s founders want visitors to become its citizens (with a special ID document provided). Living in the ‘Embassy’ requires certain skills and knowledge, so themed training weeks are held constantly within the centre. Topics covered include themes like ‘First aid for animals’ or ‘How to orientate yourself within the forest.’ Entrance is free for kids younger than 3.Operating hours: 10 a.m.- 9 p.m. The Moscow Zoo, which was founded in 1864, boasts a classical arrangement of space and cages http://moscowzoo.su/. Its story is filled with exciting and touching details. For example, when the center was in need of money (which happened several times), its workers took some of the animals home with them so that they could be with them 24/7. And during the Second World War the zoo was extremely popular. At that time, 6,000,000 people visited the zoo in just four years. One crocodile was dispatched to the zoo in 1945… from Germany! It is still alive and is named Saturn, but is more often referred to as the ‘Hitler’ crocodile. The zoo is now home to 8,000 animals. The entrance fee for adults is 400 rubles. Entrance is free for kids younger than 17.Operating hours: 10 a.m.- 9 p.m.
Oceanariums are also popular with Muscovites. Some people believe that observing fish helps to reduce stress, and here you have the opportunity to look at the fish to the accompaniment of music. A well-publicized type of aquarium tunnel is also included ( Petrovsko-Rasumovskaya subway station the “Rio” Mall). Operating hours: 10 a.m.- 10 p.m.